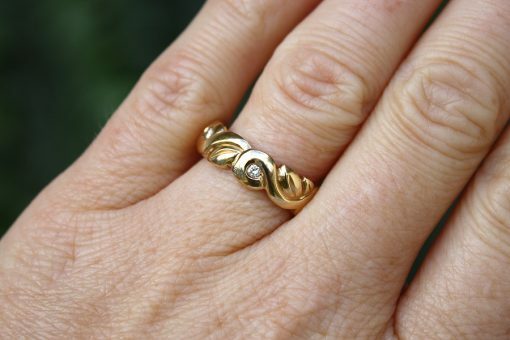 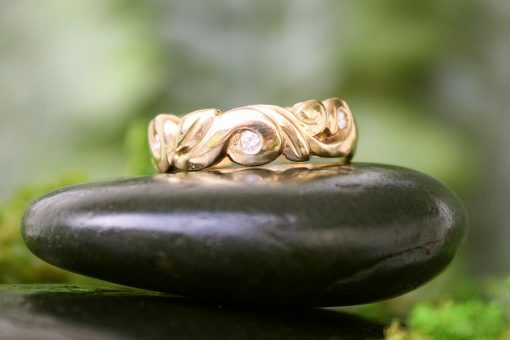 I carved a vine and leaf motif that moves continuously around the finger, with no beginning and no end. 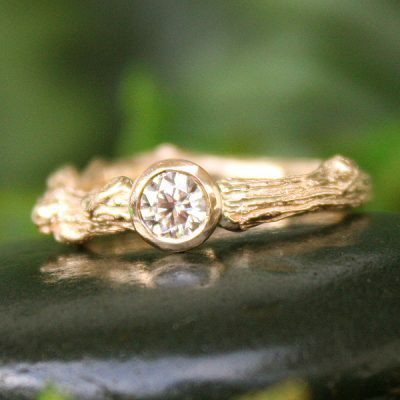 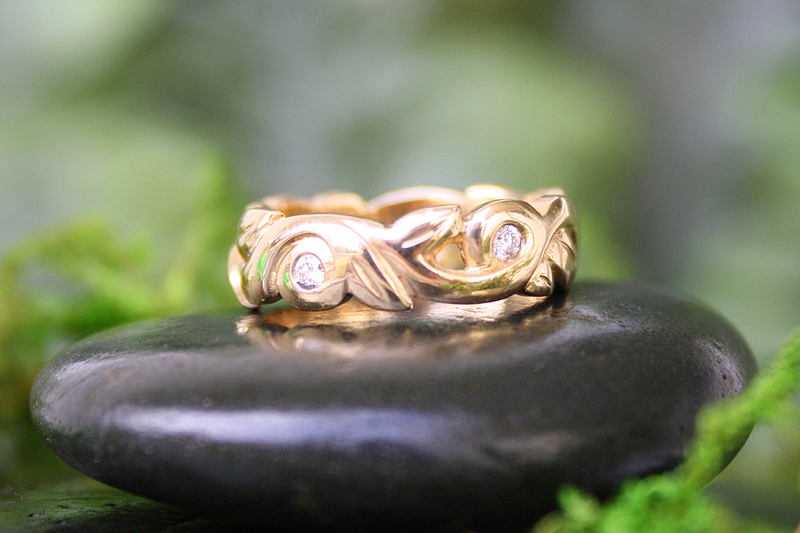 The vines gently embrace 5 diamonds that dance around the finger. 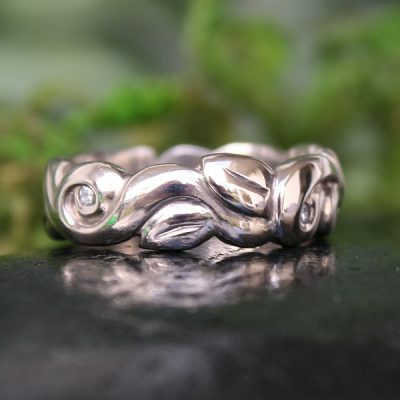 6mm in width. 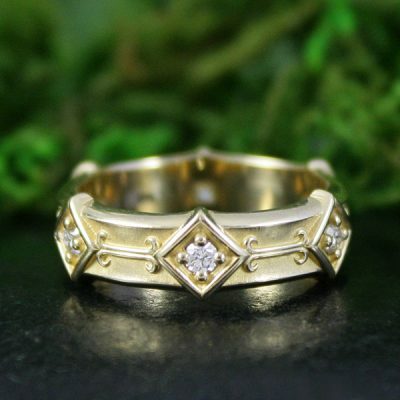 Embrace is cast in 14k yellow gold with 5-2mm gypsy set VSI diamonds.